It's a party and you're invited. 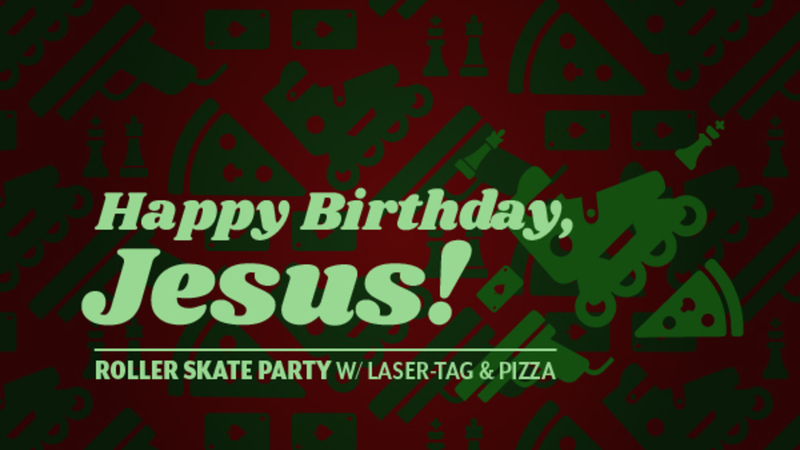 Come skate, play laser-tag, and eat pizza. All FREE ($5 skate rental if needed). Donate a new board game or card game. Items benefit local senior centers and youth programs.